! 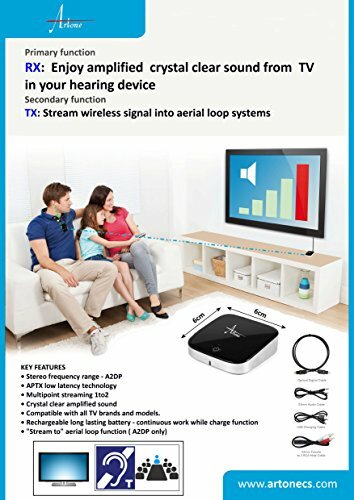 Not stand alone product, TVB requires Artone 3 MAX streamer, and a t-coil hearing aid or cochlear implant ! If you can hear the TV but with all noises of the surroundings - use TVB, it works together with your Artone 3 MAX , that transfers only the audio signal that you need through the "t-coil" of your hearing aid, without any surrounding noises and interference. If you have any questions about this product by Artone, contact us by completing and submitting the form below. If you are looking for a specif part number, please include it with your message.